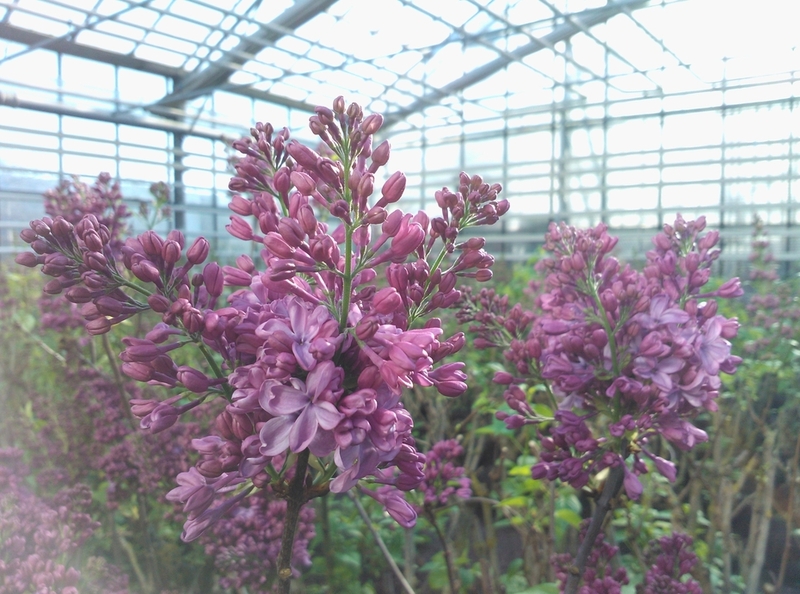 The Lilac Specialis is a traditional forced shrub company at Aalsmeer. By forced shrubs we mean all shrub likes which blossom at an earlier time, by threating them with special temperature. Would you like to know more about the lilac cultivation? Then this is the possibility, in a short film, to see how we grow these fragrant lilacs. The company is established at the oldest agricultural part of Aalsmeer, the Uiterweg nr. 338 also named “de buurt” (the neighbourhood). This is a dike situated between the Haarlemmermeer Ringvaart and the Westeinderplas, where nurseries haven been a long time here. Most of the nurseries have become yacht harbours at the march of years. The fields of isles where we grow the forced shrubs are situated at the Westeinderplas. This area is now used by forced shrub growers and by aquatic sports and recreation. At the beginning of the last century the peat soil was dug off at this area, and by draining the land of the Haarlemmermeer the dug off were filled with water. That is how the Westeinderplas is created, where a strip of islands are separated by ditches. These isles are also called “Bovenland” upper land. This Bovenland lies some 6 metres higher than the polders surrounding it. Because of the peat soil structure of the soil, it is extremely suitable arable land. The Westeinderplas area is now a beautiful mixture of arabe land and woods and recreation isles. It is a delight for lovers of nature an aquatic sports. One would not expect such an extensive restful area in the middle of the urban agglomeration. Our history goes back to the 1890’s. At that time the company was combined plants and forced shrubs. The plants existed from Cyclamen, Primula’s, Geranium, Hydrangea and Buxus. It was not possible for us to keep those cultures by scale up. This is why we specialized in forced shrubs 15 years ago.